Transport Minister Blade Nzimande has said the recovery plan for the Passenger Rail Agency of South Africa will ensure that Prasa is "wholly" turned around. Prasa's board, meanwhile, says it has advanced in implementing the recommendations of the Public Protector, Auditor-General and Treasury. Nzimande met the Board of Control, led by the Chairperson, Khanyisile Kweyama, who briefed the Minister on the Board's plan to restore good corporate governance at Prasa, on Tuesday. "This plan provides immediate, short- and medium-term interventions, which will ensure that we wholly turn around Prasa. These interventions are operational, engineering and financial in nature. I expect Prasa to focus on turning the entity around in order to provide safe and affordable passenger rail service," said Nzimande. "I can also confirm that Prasa is now ready to present to Parliament the 2016-17 Annual Report and will meet deadlines to present the 2017-2018 Annual Report," added Nzimande. "I will ensure that transport entities without exception subscribe to the notion of good governance and at all material times aspire to promote sound and prudent financial management. These principles will be underpinned by transparency, accountability and value for money," said Nzimande. 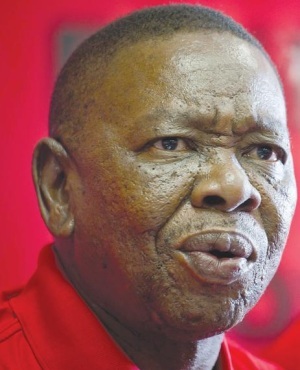 Nzimande recently said the Hawks were preparing to investigate corruption said to have taken place at Prasa. He said he had been briefed by Prasa's current leadership that they would be taking action against those implicated in corruption through internal disciplinary processes and investigation by the Hawks. Nzimande had described the rail agency as not a rail operator, but an "ATM of some sort […] for people that will now be coming out".